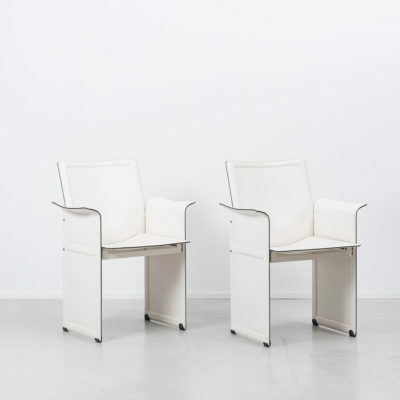 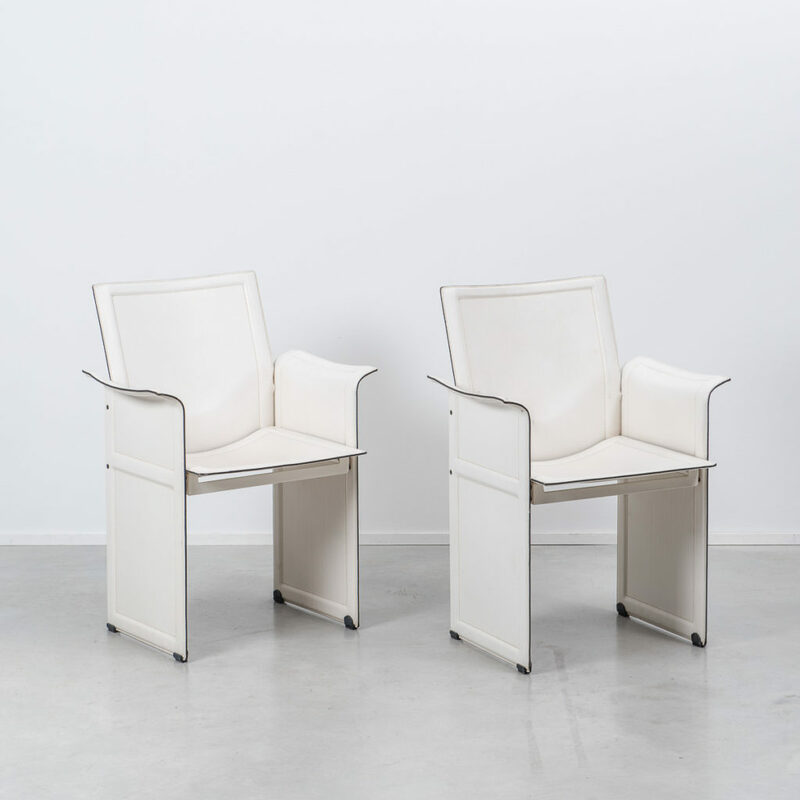 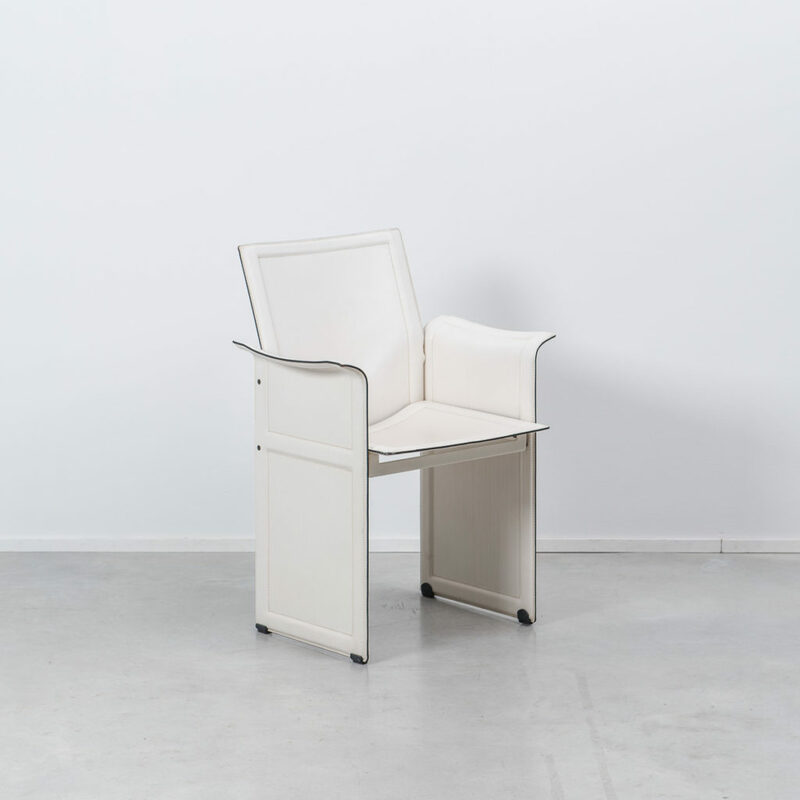 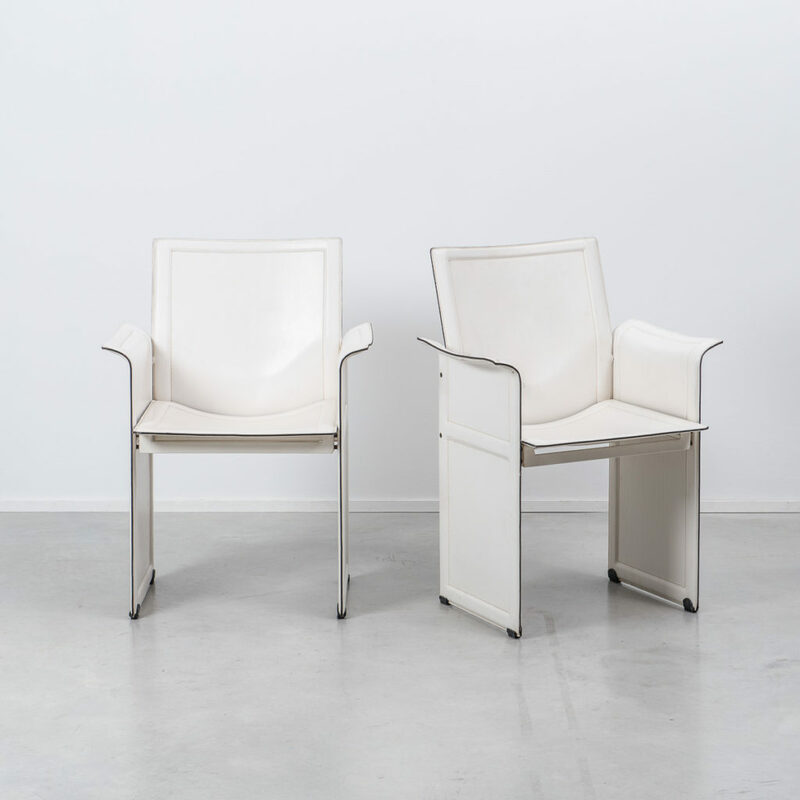 A pair of leather Korium Chairs from Italian designer, Tito Agnoli for Matteo Grassi in the late 1970s, in white. 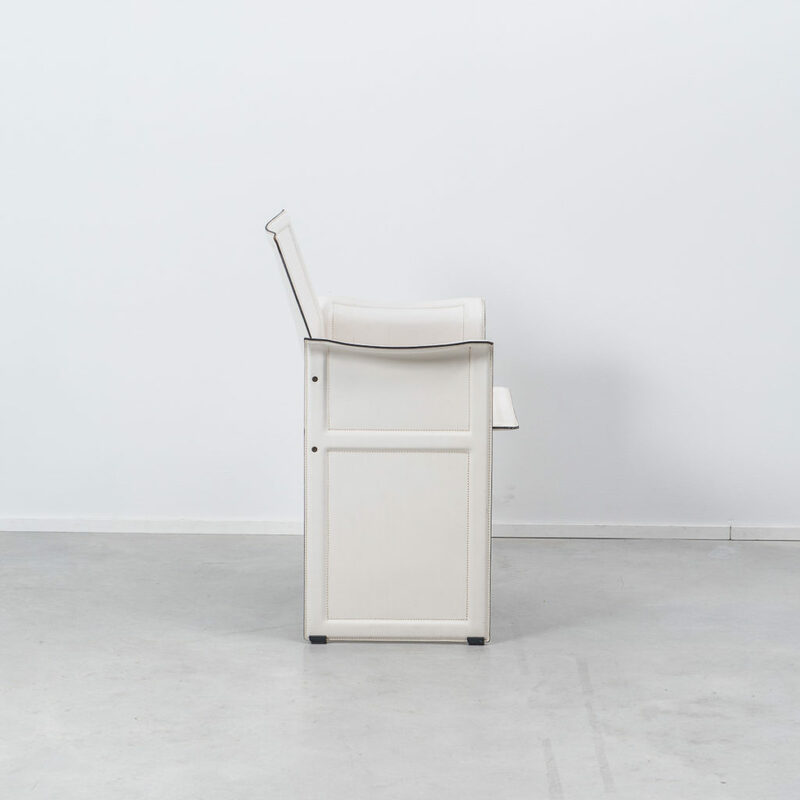 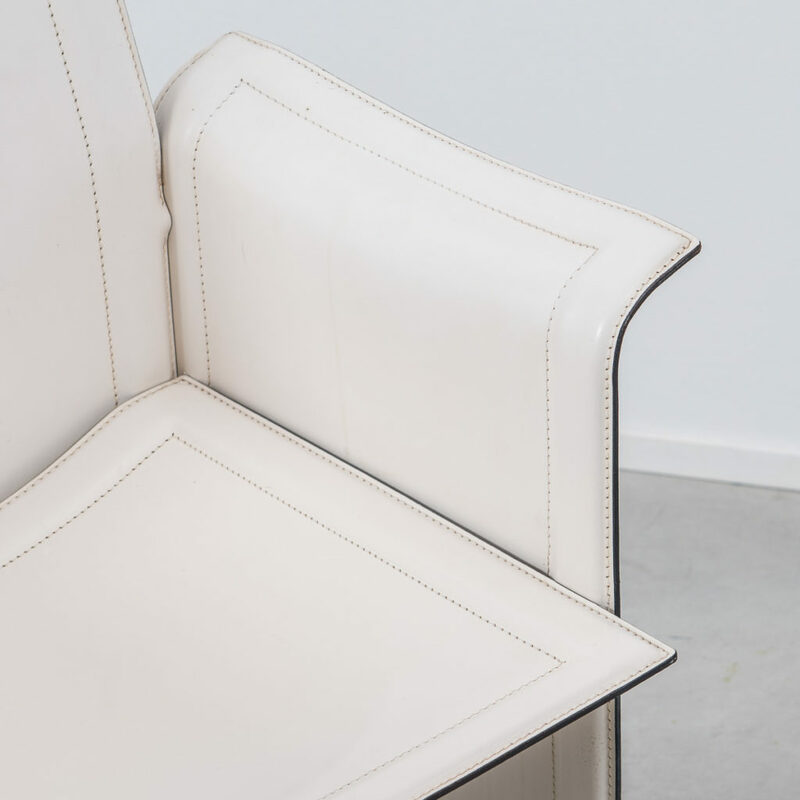 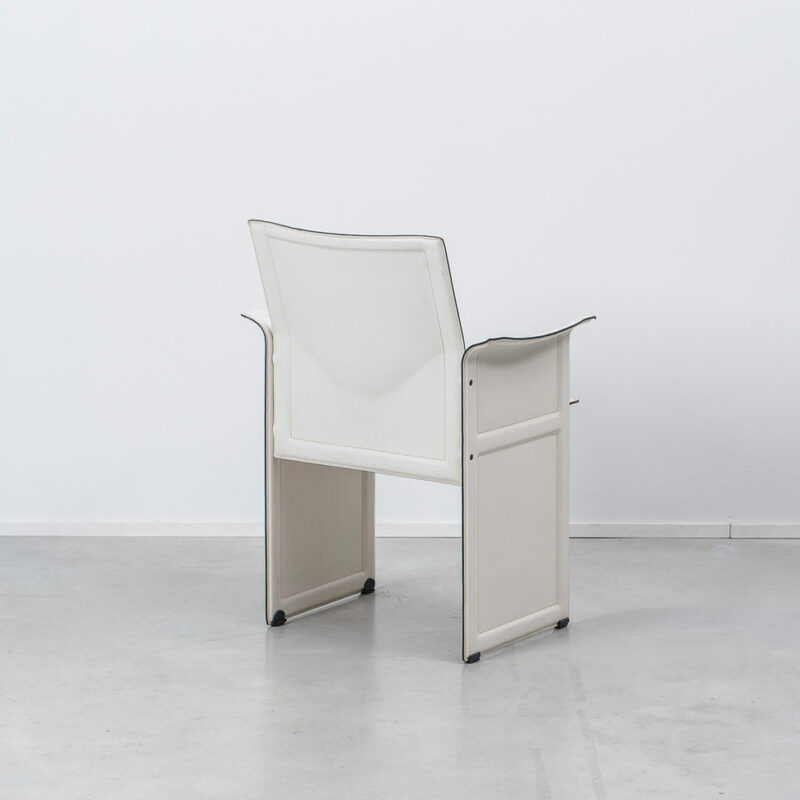 The chairs feature stitched and moulded leather on metal frame panels. 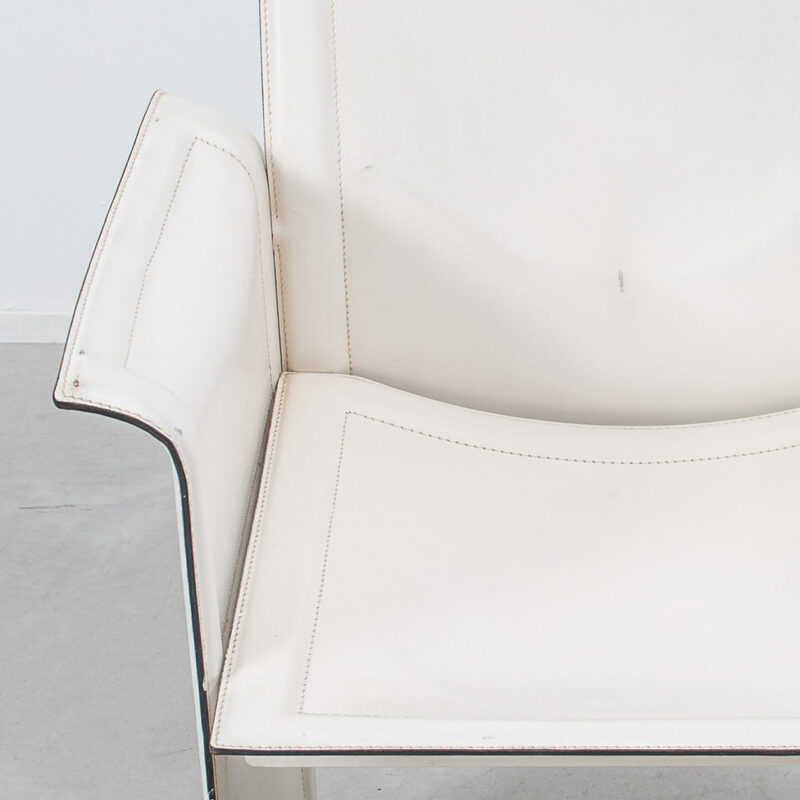 The chairs are in moderate to good condition with general wear and some dents/surface pockmarks to seats (see images).